A number of scientific studies have raised red flags about possible health effects of WiFi radiation on young children. I do not have a personal opinion that WiFi is or isn’t a health issue for children. There is not enough information to know. I do however believe in science. Scientific research should go forward and find out. Countries including Switzerland, Italy, France, Austria, Luxembourg, Bulgaria, Poland, Hungary, Israel, Russia and China, have banned or restricted these technologies in schools. These concerns were ignited by a recent National Institutes of Health study that provided some of the strongest evidence to date that exposure to radiation from cell phones and wireless devices is associated with the formation of rare cancers. If we believe in science, which i think most Redditors do, let’s follow the science where it takes us. Stein’s wishy-washy response is reminiscent of how the candidate has spoken about her other scientifically questionable beliefs. Stein came under fire earlier this year for her ambivalent stance on whether vaccines cause autism. In July, Stein tweeted “There’s no evidence that autism is caused by vaccines” only to delete the tweet and revise her stance to “I’m not aware of evidence linking autism with vaccines.” This is problematic because Stein is a Harvard-educated internist who wouldn’t definitely say vaccines don’t cause autism. Instead, she’s simply not aware of any evidence. 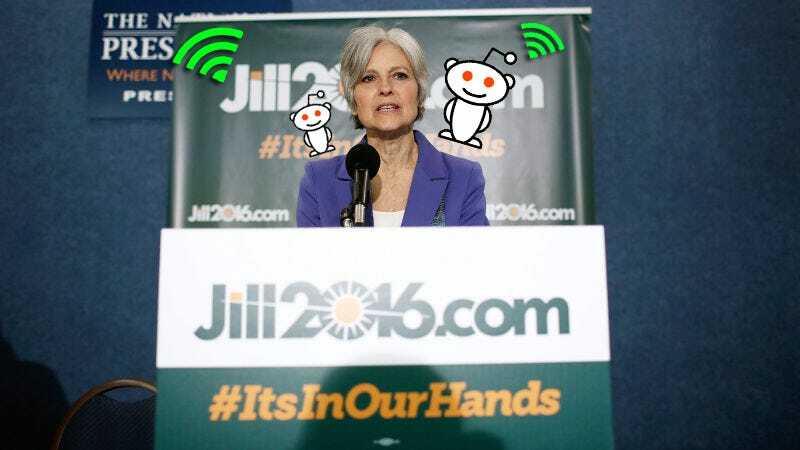 Stein’s wi-fi response is the same game. She does not have “a personal opinion that WiFi is or isn’t a health issue for children” but is open to what science has to say about the whole thing. Sort of like how I don’t have a personal opinion on whether an intergalactic cabal of reptilian shapeshifters did 9/11 but I’m open to what science has to say about the whole thing. In other news, Susan Sarandon has endorsed Jill Stein. And so the world continues to simmer into a slow burn. How Much Did Jill Stein&apos;s Flight Mix-Up Harm the Environment?